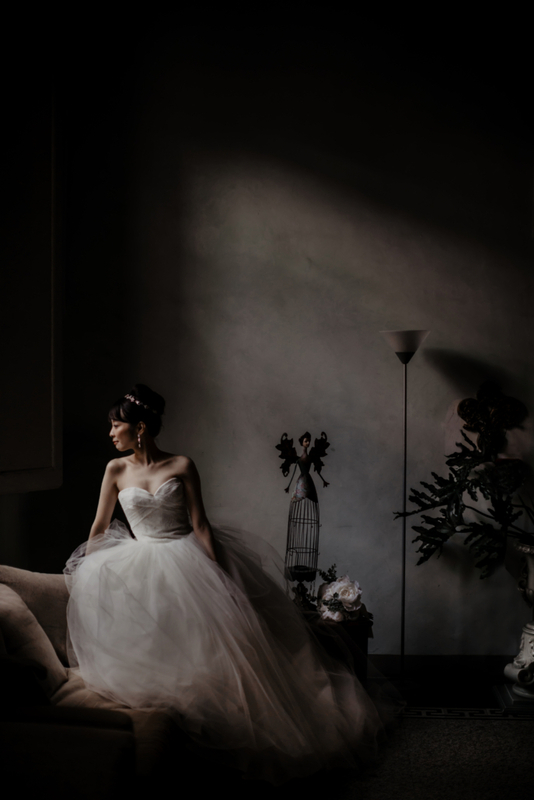 David is an Italian luxury wedding photographer but it would be better to call him storyteller. Born in Florence (Tuscany, Italy) to a family of photographers. He learned by experience, next to his uncle and his father, how to narrate real feelings through images. The strong photographer origin of his family (since 1932), made David ask himself important questions during adult age, questioning about the gap between working as a photographer and being a photographer, challenging himself and questioning his abilities every time. Today, thanks to this attitude he understands reality of things and he is aware of being completely seduced by his job, namely his greatest passion: photography. His endless research of the Aesthetics of beauty allowed him to fine-tune a well-defined, yet constantly evolving style, based on elegance of shape and light, an interaction distinguishing all his shots. His work earned publications on prestigious magazines such as Vogue and Harper’s Bazaar; one of his shots was chosen for Brides‘s cover on the “Wedding of the Year” special. His Tuscan origins influence his education rooted in the study of linear perspective of Renaissance. His artistic researches have always been based on the knowledge of great masters as reflections starting point on his personal experience, which he transforms into a picture able to engrave a fragment of history in the flowing of times. He travelled a lot to define his photography, shooting all over Europe, in New York and Las Vegas in the United States, in Africa, in Sharm el Sheikh and in Lebanon. Being able to travel and shoot different cultures makes him, as he loves to define himself, a privileged observer; an aesthete able to step into the lives of his newlyweds for one day and add his signature to the story of an unknown person. From the deep passion for photography that David Bastianoni shares with his team, Associated Studio was born, a place made up of professionals who share the desire to achieve perfection in every shot. Federico, Elisa and Francesco have been working with David for 10 years: they are trusted and reliable partners, photographers with different experiences and a different way of approaching the camera. Together, they aim to take care of every detail without leaving anything to chance, so that every light, nuance or expression, every moment can be immortalized and not lost. The work of the studio is completely reviewed by David and checked at every stage, from the initial briefing to post production. Each partner, however, brings something unique: their experience and their sensitivity, combined with those of others, give life to a cohesive group of photographers who can tell each story, making it special. His decision to devote himself to wedding reportage, made David establish numerous professional collaborations: testimonial of Floricolor and Sony, as well as Double Master of Wppi in Las Vegas. He has been awarded with several Italian and international awards.